This is part of our Lava Lake series. Brian and Kathleen Bean’s family-owned ranch is located just southeast of Sun Valley where the Pioneer Mountains meet the Snake River Plain. They own 24,000 acres and control 900,000 acres of grazing allotment lands. Posts continue Tues/Thurs through November 1, 2011. 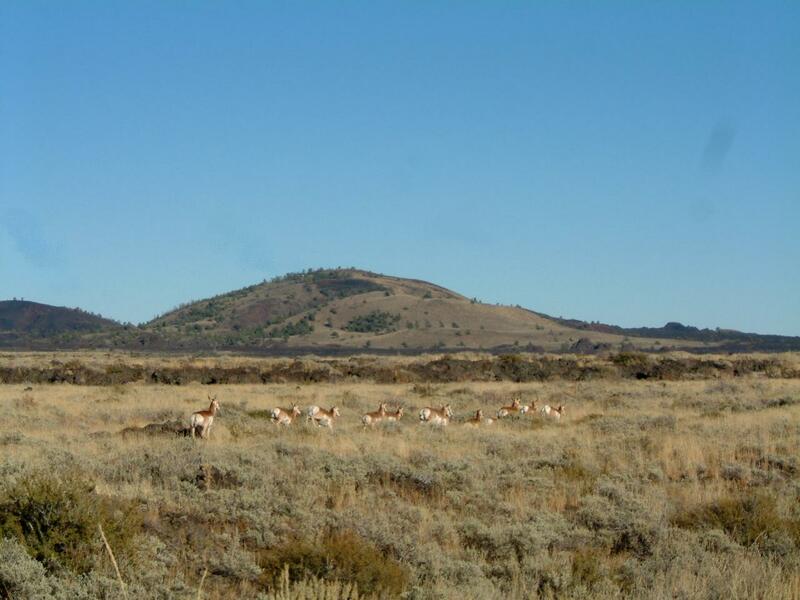 The story of pronghorn research at Lava Lake could not be more different from that of wolves. 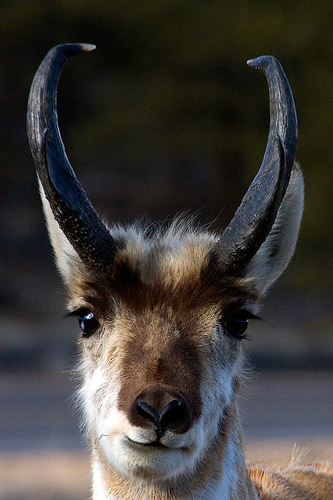 Pronghorn are not controversial. Lewis and Clark called pronghorn “speed goats,” and their curious expressions, lithe movement and annual migration make them totems of t he grasslands. “We believe that the best way to not have this area wind up like a sprawling subdivision is to look outside of our operating area to help catalyze a grassroots embrace of long-term protection for this landscape and this way of life,” explains Brian Bean. “I personally don’t want to entertain the notion that this area will ever be accessed by an offramp from an 8-lane freeway named after a sheep man that no longer exists. “When there are no more sheep left, that means no more landscape left, and everything will become entirely urban and artificial. 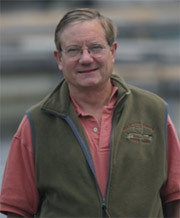 “We need the support and conviction of local landowners. Everyone in our area loves the landscape, and why wouldn’t they?” he asks, “It’s fantastic.” At approximately 200 square miles, the Pioneer Mountain to Craters of the Moon region is an awesome place. “When we arrived here,” Brian tells me, “very few people outside the region had ever really looked at it.” But development pressure is beginning to seep in from Sun Valley. Wyoming studies had previously found seven pronghorn migration routes out of the Jackson Hole area, two of which had been permanently inte rrupted. In 2008, Lava Lake began working with BLM and the Idaho Dept. of Fish & Game to provide financing for an ambitious program that used helicopters to net pronghorn does and outfit them with GPS collars. Investigators include Scott Bergen of the Wildlife Conservation Society, Tess O’Sullivan of the Lava Lake Institute for Science and Conservation, and Mark Hurley of Idaho Fish and Game. Their efforts led to the discovery of one of the longest migratory routes for any land mammal in the Western hemisphere, imbuing the pronghorn with even more panache as a marathon migrant. The data showed that to escape deep winter snows, pronghorn move from the Pioneer Mountains across Craters of the Moon National Monument nearly all the way to the continental divide’s Beaverhead Mountains - a one-way trip of more than 160 miles. The research results arrived not a moment too soon. They found that at one point the corridor narrows to a bottleneck less than 200 yards wide. Restricted by mountains, fences, a highway, and fields of jagged lava from Craters of the Moon National Monument, the discovery of the precarious state of pronghorn migration in the region was an early project of the Pioneers Alliance, established by local ranchers to develop long-term strategies for protecting the region’s ranch lands. Already, Lava Lake Ranch and the National Park Service have removed some fencing along the pronghorn migration route. In other parts of pronghorn country, projects have used smooth wire to replace the lowest strands of barbed wire fences. This allows the pronghorn, which squeeze under fences rather than jumping them, to pass unimpeded. Next up in this series: marketing and eating grass fed meat.